His Texas ranch has been a refuge for Jared King ever since tragedy tore his life apart. 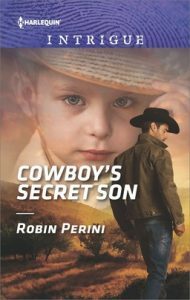 But when the widowed rancher is reunited with the one-night stand he never forgot and meets the child he never knew existed, he quickly learns just how much danger they’re both in. Now, with Courtney Jamison trusting him to keep her and their son safe, will the city girl who invaded his heart stick around once the danger has passed?